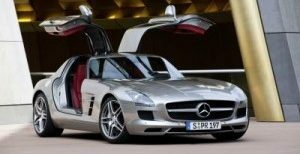 AMGmarket.com news/Source: MBUSA – MONTVALE, NJ: Driving enthusiasts and AMG fans get a chance to enhance their driving abilities and push the most exclusive and highest performance Mercedes-Benz luxury cars to the limit at the AMG Driving Academy. 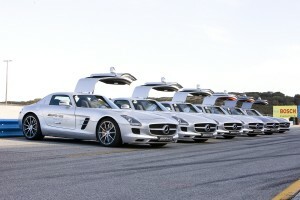 For 2012, the AMG Driving Academy has expanded to five tracks, beginning at Palm Beach International Raceway in April. Few tracks are as well known and loved. This classic 1.53-mile, 7-turn course, nestled in the Berkshire Mountains of northwest Connecticut continues to excite some of the world’s best drivers since 1957. Located in one of North America’s best destination locations — the Monterey Peninsula, Laguna Seca features tremendous elevation changes, the famous Corkscrew complex and 2.24 sinewy miles. Basic Training ($1,595): A one day program designed to teach the fundamentals of performance driving dynamics and car control maneuvers using customized exercises that emphasize the power and handling capabilities of AMG vehicles. Drivers will also test their skills on the track at high speeds and during performance course competition. Advanced Training ($2,995): A two-day program that provides a deep level of technical driver training both on and off the track. The program picks up where Basic leaves off, offering more track driving to extract a driver’s maximum potential in a performance driving setting. Additional information and registration for the AMG Driving Academy is available at www.AMGacademy.com or by phone at 1-877-646-6762.